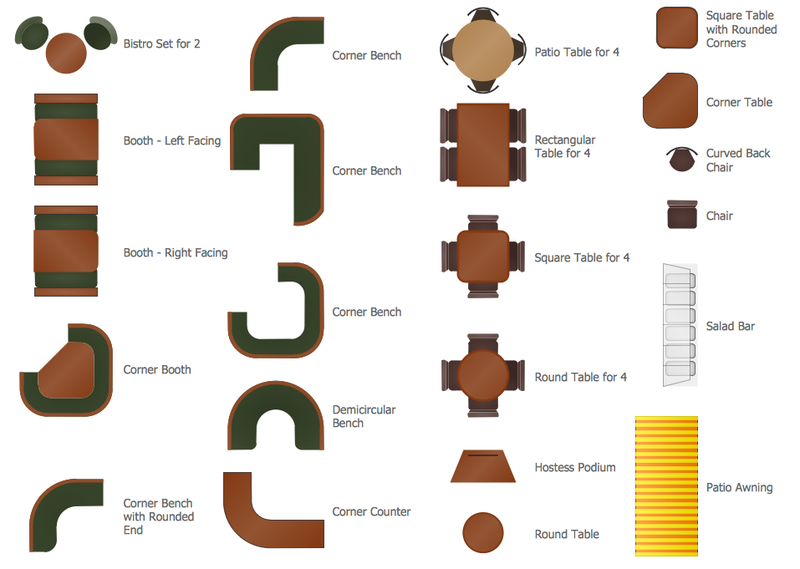 You want create Restaurant Floor Plan? 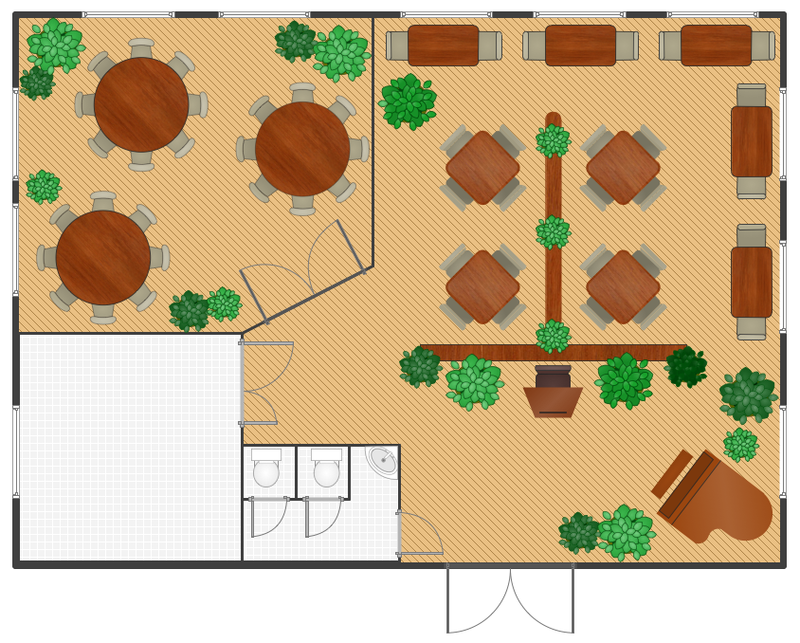 Now you do not need to be an artist to create great-looking Restaurant Floor Plan in minutes. ConceptDraw DIAGRAM extended with Cafe and Restaurant Floor Plan Solution from the Building Plans area of ConceptDraw Solution Park has many examples and templates for drawing floor plans and restaurant layouts. 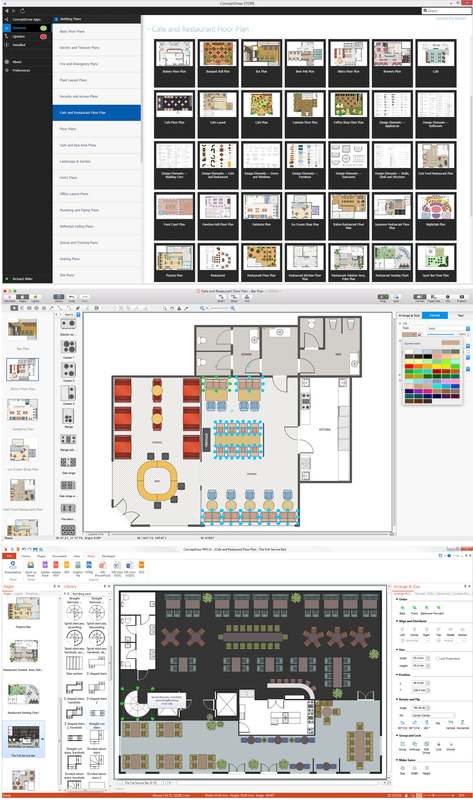 You need Restaurant floor plan software: it is ConceptDraw DIAGRAM extended with Cafe and Restaurant Floor Plan Solution. This solution located at Building Plans area of ConceptDraw Solution Park. with our Restaurant Floor Plan Software. Cafe and Restaurant library from the Cafe and Restaurant Floor Plan Solution provides variety of stencils for designing any restaurant layouts. This sample was created in ConceptDraw DIAGRAM diagramming and vector drawing software enhanced with Cafe and Restaurant Floor Plan Solution for ConceptDraw Solution Park and shows the detailed Restaurant Floor Plan. Create your own Restaurant Floor Plan quick and easy using the Cafe and Restaurant Floor Plan Solution.